A request for proposal is used to submit a solicitation in the form of a bid for some type of commodity, service, asset, or property. 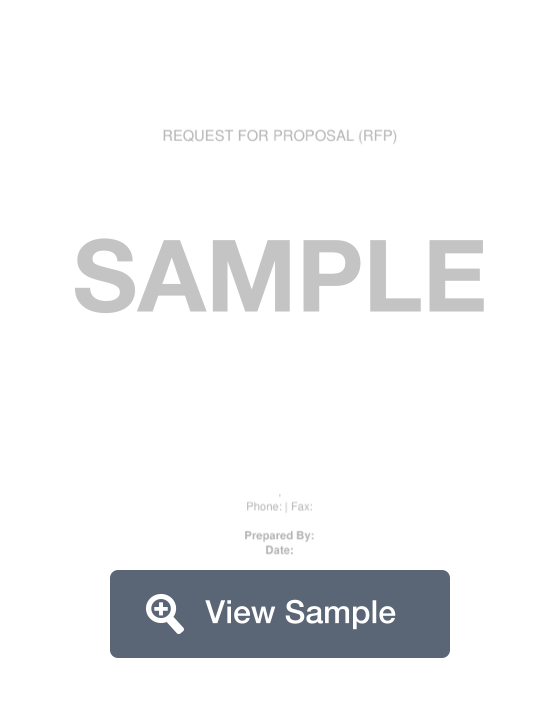 What is a Request for Proposal Template (RFP)? A request for proposal is used to submit a solicitation in the form of a bid for some type of commodity, service, asset, or property. It is typically used to get information about the proposed asset or service. This can include a history of the asset's ownership, financial information, information about the seller, or the product's availability. A company may use a request for proposal to ask for services such as upgrading technological equipment, construction, or other services. This can ensure a business gets the best service providers and companies for the job. It also allows them to compare prices so they get an appropriate price for the assets or services. To receive the best quality responses to your request for proposal, it is important to send a high quality request for proposal template. Your RFP represents your company. When potential bidders view your request for proposal, they are deciding whether they will provide a response. The best RFPs lead to the best proposals and right candidates, which lead to successful projects. Create a free Request for Proposal in minutes with our professional document builder. A RFP template is a type of bidding request where an organization publicly announces that it would like a specific project completed. The RFP invites companies who can perform the work to place bids for the work. The contract award goes to the proposal the provides the best value. This process is typically used for more complex projects. The RFP highlights all of the relevant terms and conditions of the contract and the bidding process. It provides detailed information about what the bid should include and how it should be presented. 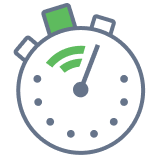 Specify timeline for RFP process - when is the RFP response due? Requests for proposal are important documents to invite potential contractors to submit proposals that offer solutions to your company. An RFP informs and notifies potential contractors about the work that needs to be done in your company and encourages them to submit a proposal to meet those requirements. An RFP lets potential collaborators know what you need and provides them with information that will allow them to provide better proposals. When you publicly publish a request for proposals, you increase your chances of receiving a large number of responses to your request. The RFP will help potential bidders better understand your requirements and respond with proposals that are tailored to fit your needs. RFPs encourage competition between potential collaborators and is a good technique for ensuring that you receive the fairest price for the requested services. The NBA All-Star Game is on the horizon, and speculation about where LeBron James’ free agency might lead him is heating up. There’s plenty of talk about the impact his destination will have on LeBron, but there’s another aspect to the conversation—the impact LeBron will have on his destination. A study released in May 2017, co-authored by Harvard Kennedy School Associate Professor Daniel Shoag and Stan Veuger of the American Enterprise Institute, documented the real-life economic impact of LeBron James. We’re calling this study our LeBron HQ3 Sweepstakes, a play on the Amazon HQ2 furor, which had cities across the country (and even a few in Canada) submitting proposals to host Amazon’s next headquarters. Below is a description of our study's methodology. Starting with the economic forecasting model set out by Shoag and Veuger’s May 2017 paper, which concluded that LeBron increases the number of eating establishments within one mile of his home arena by 13% and the employment at those establishments by 23.5%, we set out to determine the number of restaurants within 1 mile of each NBA team’s arena. To find the exact number of establishments within a mile of each arena, we utilized Yelp’s location algorithm, with the filter set to 1 mile of the exact arena address; each of these searches returned the exact number of eating establishments within the specified area. We then took the number of establishments and multiplied by .13 (representing the aforementioned 13% increase in eating establishments prompted by LeBron’s presence). This calculation gave us the number for the amount of new eating establishments each local area could expect to gain from LeBron choosing their city as his HQ3. To quantify the number of new jobs gained via those new eating establishments, in addition to the previously noted increase in employment of 23.5% at existing eating establishments, we used the U.S. Department of Labor’s statistics on the average amount of employees per eating establishment. With this Labor Department number, we multiplied it first by the total of new eating establishments in the area post-LeBron; once we had that result, we took the existing amount of eating establishments in the area multiplied by the amount of employees per establishment multiplied by .23. Once we had these two totals, we added them together and had the total amount of new jobs the local area would gain due to LeBron’s arrival. For local economic impact, we utilized the mean annual wage data for restaurant workers of each metro area encompassing a NBA arena from the Labor Department (for the Toronto Raptors, we used Statistics Canada’s datasets, which is the Canadian Government’s statistical outlet) and multiplied it by the amount of new workers added to the local area from LeBron’s presence times five to represent the length of a 5-year max deal. To calculate the expected state tax revenue as a result of the local economic impact, we utilized the Federation of Tax Administrators’ breakdown of the percentage of personal income each state collects. We took each state’s aforementioned percentage multiplied by the expected local economic impact, with the final result determining the anticipated state tax revenue from LeBron’s 5-year presence with his HQ3. Lastly, to determine the amount the state and local government should subsidize LeBron, we utilized a Washington State Institute for Public Policy study concerning the Cost-Benefit Ratio of government funded job-placement programs, since, in economic effect, LeBron’s arrival to his HQ3 operates as a jobs program for the local restaurant industry. Its observed cost-benefit ratio was $1 of spend for every $4.58 of benefits that the state receives; therefore, using state tax revenue as the proxy for benefits, we multiplied each state’s tax revenue figure by .218 (=¼.58) to arrive at the monetary amount each regional/state/local government should subsidize LeBron to support the job growth that his HQ3 will bring.